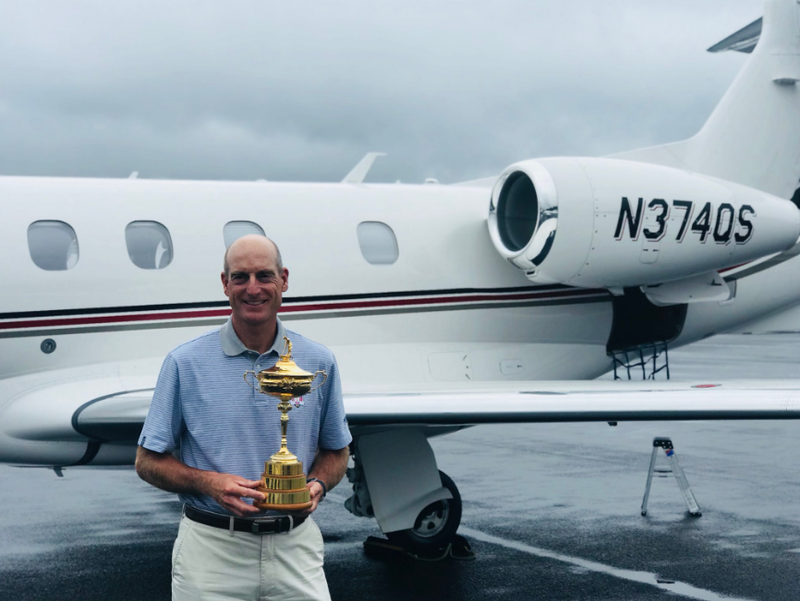 The game of golf is said to be a classic but highly competitive one which rewards the very best on the course and Jim Furyk is no doubt an outstanding player. He is a veteran American golfer who plays on the PGA Tour and has won many titles in the course of his career. He has been a FedEx Cup Champion as well as one time PGA Tour Player of the Year. He further holds the 58 shot record which is the lowest score in the history of PGA Tour and also ranked second place in the 2006 “Official World Golf Ranking.” Find out more about this deserving champ below. What is Jim Furyk Famous For? An American golfer who plays on the PGA Tour and has won many titles in the course of his career. His powerful swing which he generates with strong back, thighs, Shoulders, and hand. Professional golfer Jim Furyk was born in West Chester, Pennsylvania, the U.S. His birth name is James Michael Furyk. He was born to father Mike Furyk and mother Linda Furyk. Jim has got no siblings. His father was an assistant pro at the Edgemont Country Club. His father might have been the major source of inspiration for Jim. Jim spent most of his early years in Pittsburgh suburbs learning the game from his father. His father, Mike was head pro at Uniontown Country Club in Uniontown, Fayette County. He is American by nationality and belongs to the White ethnic group. For the high school education, Jim went to Manheim Township High School in Lancaster County and got graduated from there in 1988. For the college, he went to the University of Arizona. Furyk started his professional career in 1992 and year after he won the Nike Mississippi Gulf Coast Classic on the Nike Tour. He joined PGA Tour in 1994 and won the tournament every year till 2003 which bring him in top ten ranking around the globe. Jim greatest victory came in U.S. Open when he tied the record for the lowest 72-hole and win his first major championship. The year 2004 was quite disturbing for him due to his wrist surgery but regained his position in 2005. He won ‘’Vardon Trophy’’ after having 13 top-10 finishes, including nine top-3rd and 2nd finishes and victory for twice in the 2006 season. His career got more highlight when he won best three tournaments on tour, Transitions Championship, Verizon Heritage, FedEx Cup and also won PGA Player of the year as well as PGA Tour Player of the year only in 2010. He got qualified for 2015 president Cup team but could perform well due to the raising of his previous injury which hampers his 2016 career too. 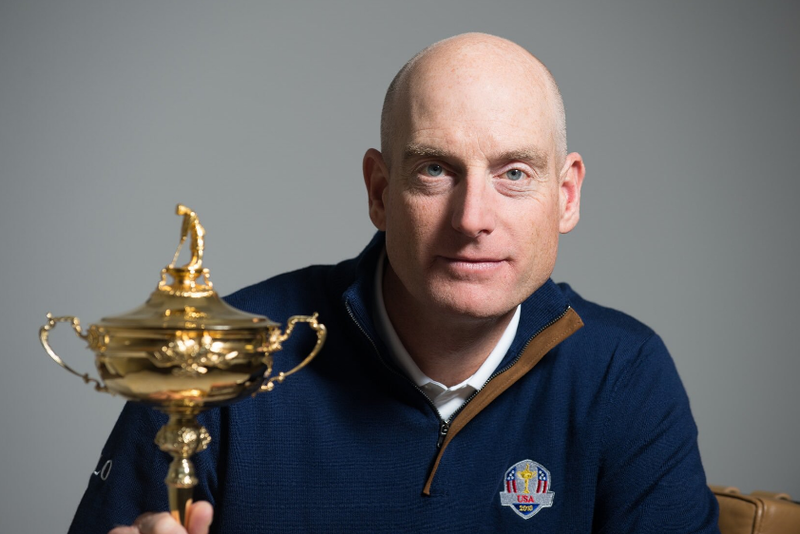 Furyk became the first player to shoot 58 in a PGA Tour event in 2016 and named as the United States Ryder Cup Captain in 2016 for the year 2018. Jim has got an interesting personal life. Jim Furyk married life with wife Tabitha is going stronger and stronger. The couple has two children, a daughter named Caleigh Lynn Furyk and a son named Tanner James Furyk. He got married to Tabitha in 2000. Jim turns out quite to be a romantic man and how he met his beloved wife Tabitha is classic. He met her at Jack Nicklaus' Memorial Tournament as a young tour pro. He had to try hard to get a ‘Yes’ from Tabitha. According to Tabitha, Jim proposed her along the beach during the week of the 2000 U.S. Open at Pebble Beach after months of failed attempts. She describes that they went out to dinner in Carmel, they were taking a stroll on the beach when Jim decided to get down on one knee and propose. The start was quite a romantic and of course, a fairytale. So, it is no wonder why Jim Furyk married life is fabulous and blessed with love. 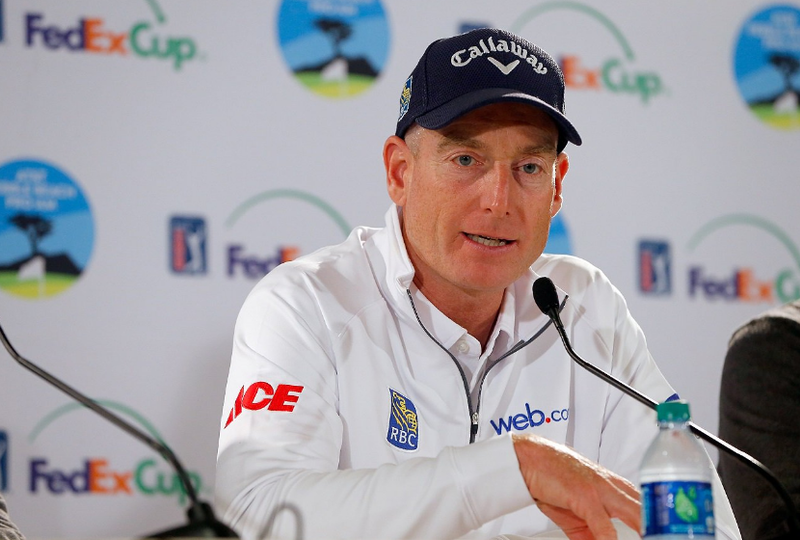 How much Jim Furyk earns at present? Jim has earned a tremendous amount of money from this professional career and also listed in top list many times for making the highest amount of money in his tournaments. His current net worth has estimated as the U.S. $ 80 Million. Every sport has a particular requirement in terms of body build which players are expected to average if they intend to have a long and successful career. Though a game like a game of golf is more geared towards skill and power, a little extra height or flexible body weight can’t hurt an athlete. With Jim Furyk, he is gifted with an above average height of 6 feet 2 inches (1.9 m), paired with a healthy body mass of 185 lbs (84 kg). Apart from this, his other body information was not disclosed yet. In the case of disclosed, we will let you know. He earned the name after becoming the first player to shoot 58 in a PGA Tour event, the lowest score in history.